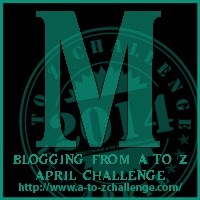 Of course, M is always for Mountains, but that was a little generic. Fortunately, the John Muir Wilderness encompasses some of my favorite mountains, and a number of great mountain experiences. 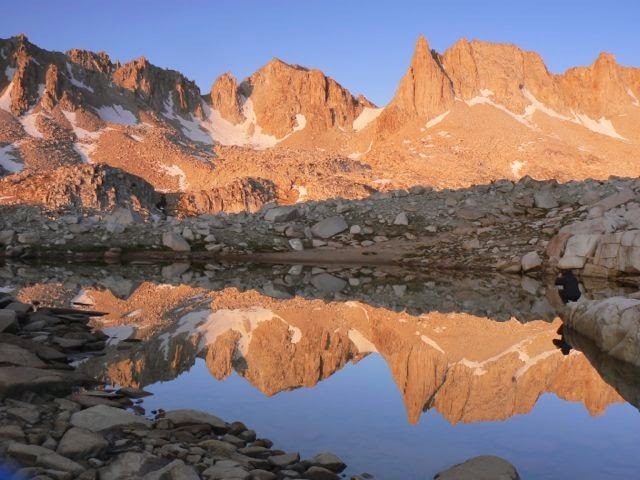 The John Muir Wilderness stretches for 100 miles along the crest of the Sierra. It is a land of lofty snow-capped mountains, deep canyons and vast expanses of glacially carved terrain. The John Muir Wilderness was designated by Congress in 1964. It covers 650,000 acres. 299,000 acres are managed by the Inyo National Forest, while the remainder is managed by the Sierra National Forest. The wilderness was named in honor of John Muir, who once described himself as a "self-styled poetico-tramp-geologist-bot. and ornith-natural, etc.!! !” Muir spent his life advocating for the protection of the wild parts of the Sierra Nevada. 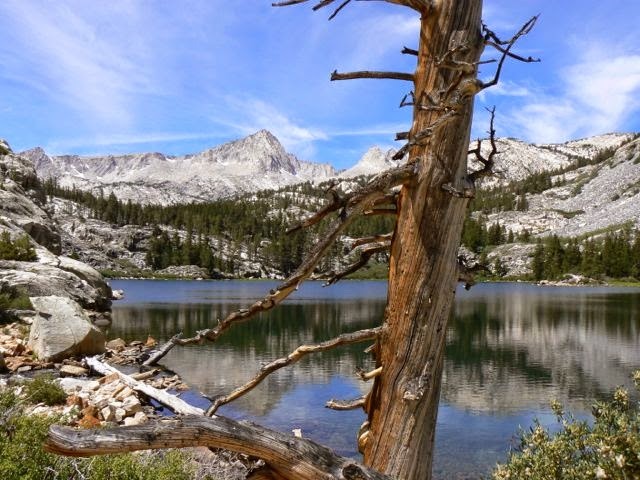 My first hikes into the Sierra (in fact, the majority of them) were into the John Muir wilderness. On the summer solstice in 1993, I had the magical experience of seeing my shadow on the snow--by starlight. That's right--just stars, bright enough to give one a ghostly shadow on the snow. That was a few hours after the altitude had caused me to toss my cookies, also on the snow. 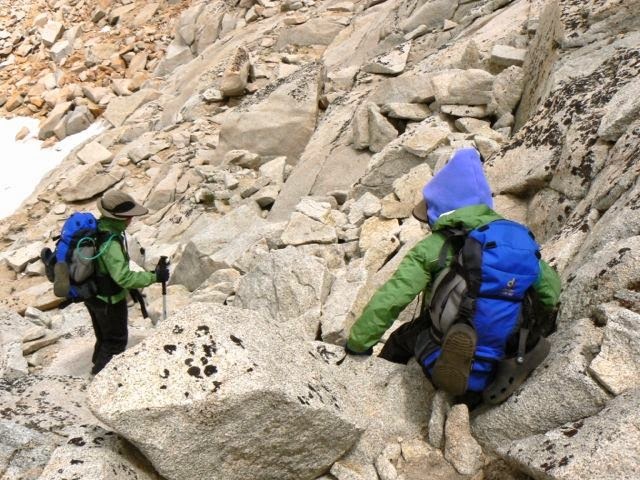 And in 2009, we had one of our most memorable family backpacks, from Pine Creek (near Bishop) over two passes and across country to connect a loop via some amazing backcountry lakes. Our boys were only 10 and 11, and we experienced everything from mild altitude sickness to high winds and a 17-degree morning. It's a trip none of us will forget. 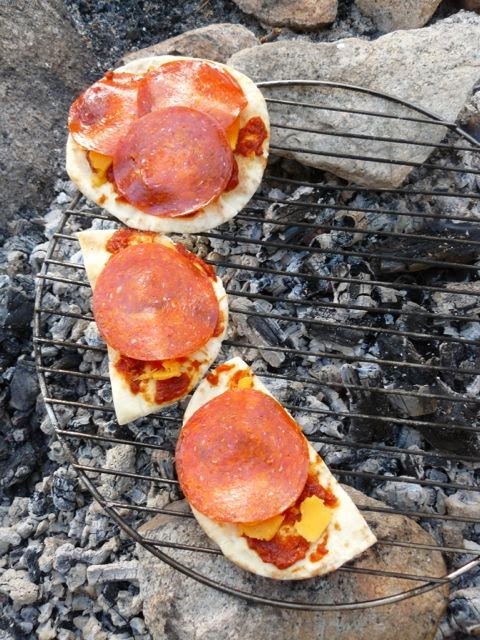 One camp had a firepit and an abandoned grill--so we learned you can grill pizza! I seem to keep ending up with pizza instead of ice cream! 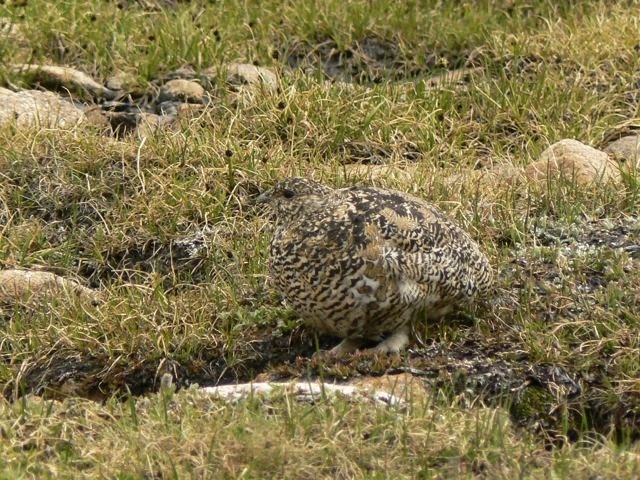 Can you see the ptarmigan? Or especially great boulders to scramble over. He took particular pleasure in showing his more timid Mom the best route ("Don't go where Daddy went."). 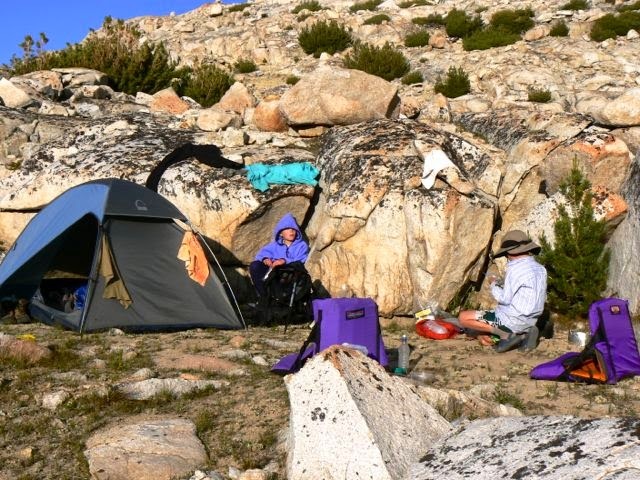 Just a nice time in camp among the granite! You have to be tough to get up and get these shots, when all is frosty and coffee has to wait! We're nowhere near as tough as John Muir, who roamed these mountains with just an overcoat and a loaf of bread, but I thank Muir for inspiring people like Teddy Roosevelt to preserve areas like this! And if you've never read My First Summer in the Sierra--go get a copy. We hope to take a trip out West in the next few years and this looks like a must-see. Very different terrain from the Appalachian mountains for sure! Oh, yes! Very different from the mountains back east! You have to be ready for big views and open spaces. Most of the Wilderness is, of course, visible only to backpackers. But you can get much of the same feel closer to roads in Yosemite if you aren't a backpacker. Totally jealous - this looks like such an adventure! Thanks for sharing the beautiful pics! Worth being jealous over! We do a major pack trip every summer, with usually a couple of smaller ones to warm up for it. Those are beautiful pictures and it looks like an amazing place to visit. Well, I'm always both glad and sorry when a trip ends. I do appreciate a hot shower! Yeah, my favorite! That's one reason I always carry three pairs--so I can rinse them, thaw them, and dry them while still having a pair to wear!